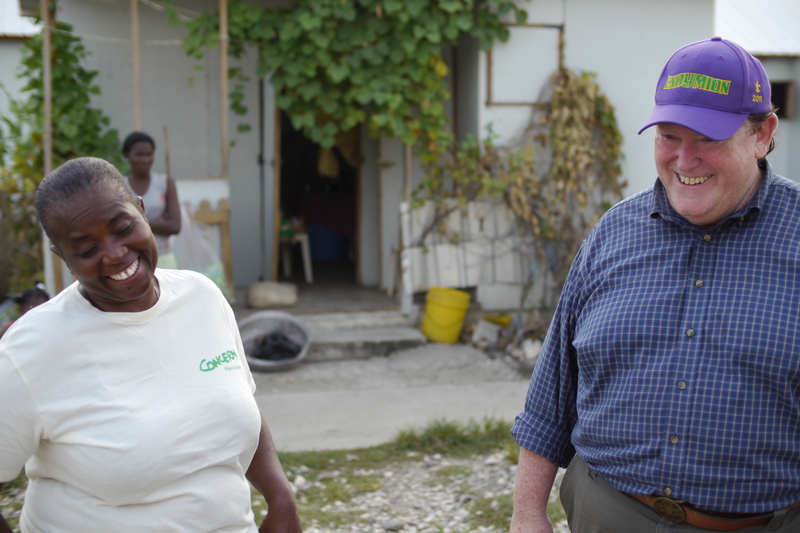 Tom Moran is survived by literally millions of people whose lives he helped save and transform. For this reason, and many more, this humble but towering man merits more than your typical obituary. If you would like to donate in memory of Tom Moran, please click here. In the case of Tom Moran, who left this earth on Sunday, August 12, such a listing would be impossible, because Tom is not only survived by a vast community of loving family, friends, and colleagues, but by countless men, women and children around the world who have been — and will continue to be — touched directly by his love, generosity, and boundless belief in the humanity and dignity of all. Tom was a Concern Worldwide US Board member for more than two decades, and Board Chair from 2001—2017. 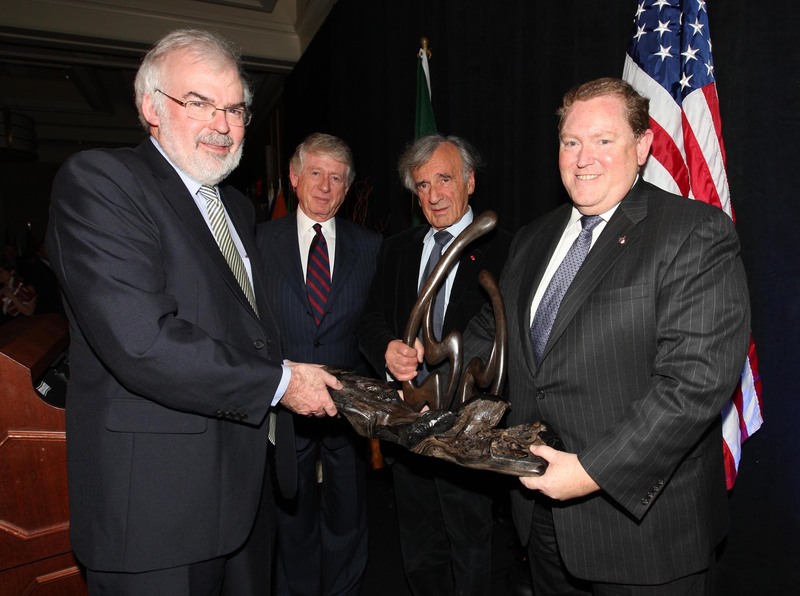 His relentless commitment to our mission from day one allowed Ireland’s leading humanitarian organization to establish roots in the US. His personal generosity and dauntless evangelism on behalf of the organization set a tone and an example followed by hundreds of others, a community of loyal supporters that has provided a rock solid foundation for innovation, influence, and impact in transforming the lives of the world’s poorest people. Tom recently recalled how it all began. 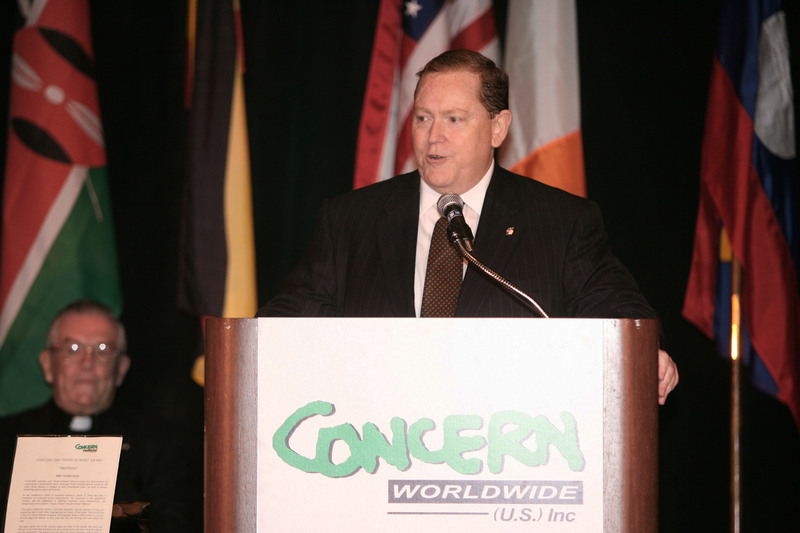 After the tragic and premature death of Concern’s first US Chair, legendary public relations executive, John Scanlon, Fr. Aengus Finucane and Executive Director Siobhan Walsh approached him to take up the mantle. “Being double-teamed by the two of them, I couldn’t say ‘no.’ Of course, I still would not have agreed without [fellow Mutual of America executive and Concern US board member] Ed Kenney, who assured me that together we could make it happen. It’s a typically humble re-telling that deflects credit and attention onto others, and indeed Tom’s efforts were buttressed by many others, but his drive and leadership were essential. Siobhan Walsh, who served as Executive Director from 1994—2013, recalls: “I remember when he offered to help Concern US, when we were almost invisible. He was an incredible Chairman. He was a teacher, a coach, and a leader who showed us the power of action, building an incredibly strong and resilient Concern US family. Tom’s unique contribution to Concern Worldwide US can be traced to his truly unique life story. 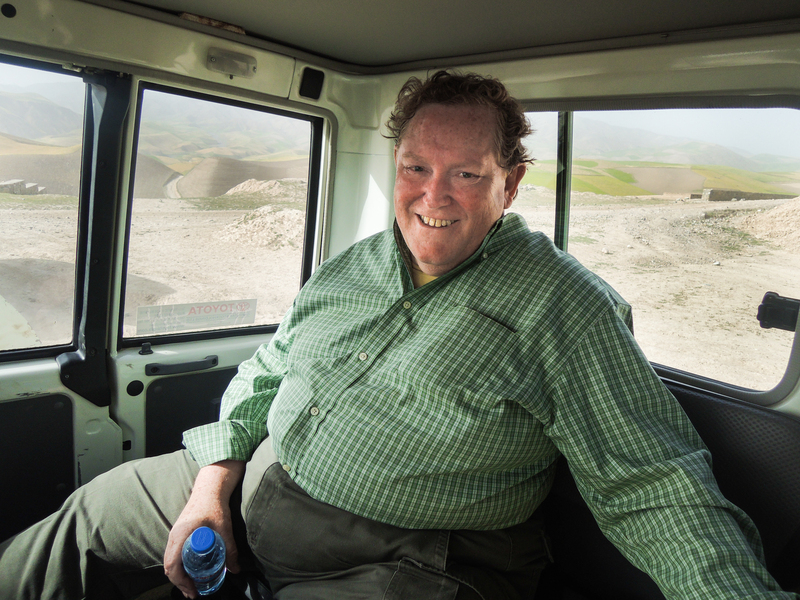 Tom Moran, in a humorous moment riding in a Concern Land Cruiser. 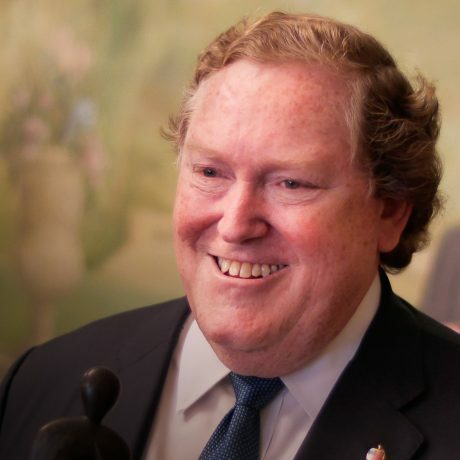 Tom was first and foremost a son of New York, with proud immigrant lineage — a son specifically of Staten Island, one of three children of an Irish-Italian-American mother and an Irish-American father, with roots in Counties Fermanagh and Tipperary. His healthy head of red hair marked him unmistakably as a “Moran,” but he was always quick to add that he was thoroughly Italian as well. Tom was a relentlessly hard worker. At 14, he took his first job as a janitor at his high school. 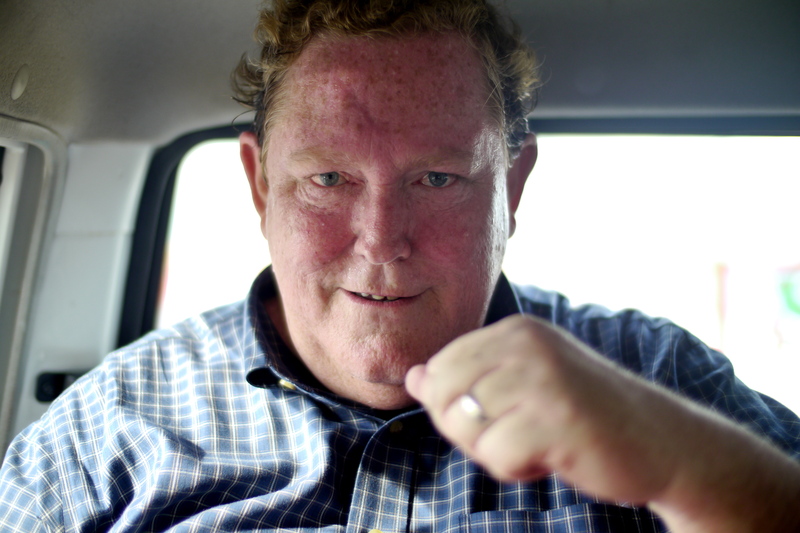 While pursuing a mathematics degree at Manhattan College, he was a night shift cab driver, which provided a wealth of stories he readily shared along with a photo from that time of a younger, thinner Tom, his red hair in a wild, unkempt mane. Along with the colorful tales came life lessons about the goodness of people and the virtue of hard work that Tom carried through his life. 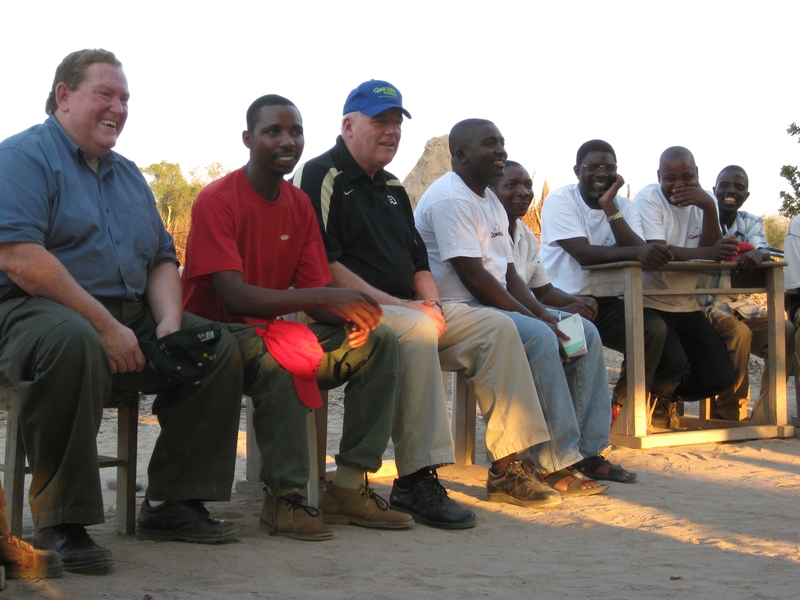 Your gift today allows us to continue Tom Moran's legacy of supporting life-saving and life-changing programs in communities around the world. Tom was a leader. After college, he began working at Mutual of America in 1975. He started at the very bottom of the corporate ladder, in an administrative role where his responsibilities included “paperclipping anything that needed to be signed” whenever a pension had been sold. 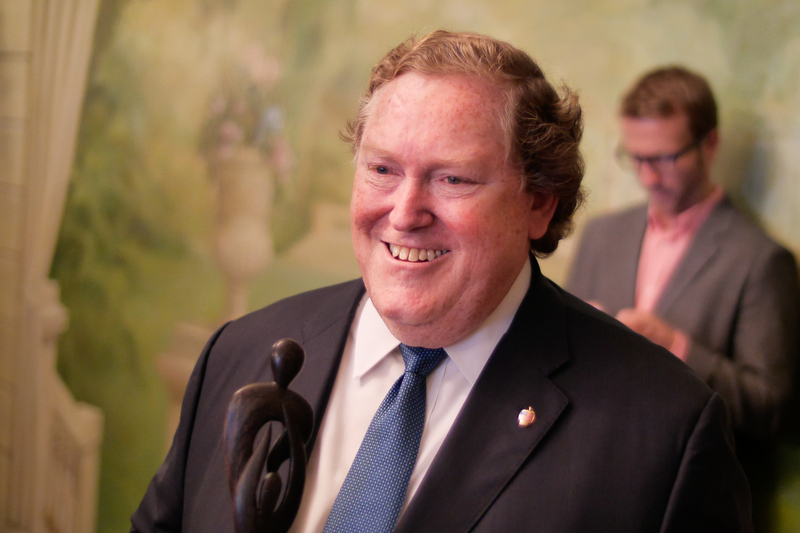 In less than two decades, he would be appointed President and CEO, succeeding Bill Flynn, who had established the company as a leader in providing a wide variety of retirement products to clients in the non-profit human service and social welfare sectors. Tom took the baton and led the organization for the next 22 years, through a period of steady exponential growth into a company with now more than $20 billion in assets. Tom’s success at Mutual of America can hardly be defined in numbers alone. It was there that he met his wife, Joan, in 1976. They married in 1983, and for 35 years their shared love of family and friends and passion for philanthropy and volunteerism produced a vast network of generosity and impact that spans well beyond Concern to institutions such as the American Cancer Society Foundation, United Way of New York, Medical Information Bureau, University College Dublin Smurfit School of Business, Thirteen WNET, Irish Hunger Memorial NYC, and many others. Tom was a peacemaker. In the years leading up to the Good Friday Peace Accord of 1998 — and in the decades since — Tom tapped into his finely honed negotiating skills, his charm, and his love for Ireland in a campaign of quiet shuttle diplomacy that has helped secure and preserve peace in that country. In 2015, he was presented with the prestigious Irish Presidential Distinguished Services Award, which recognizes “those who have served Ireland with distinction and actively contributed to the country in a sustained manner.” That same year, he became Chancellor of Queen’s University in Belfast. 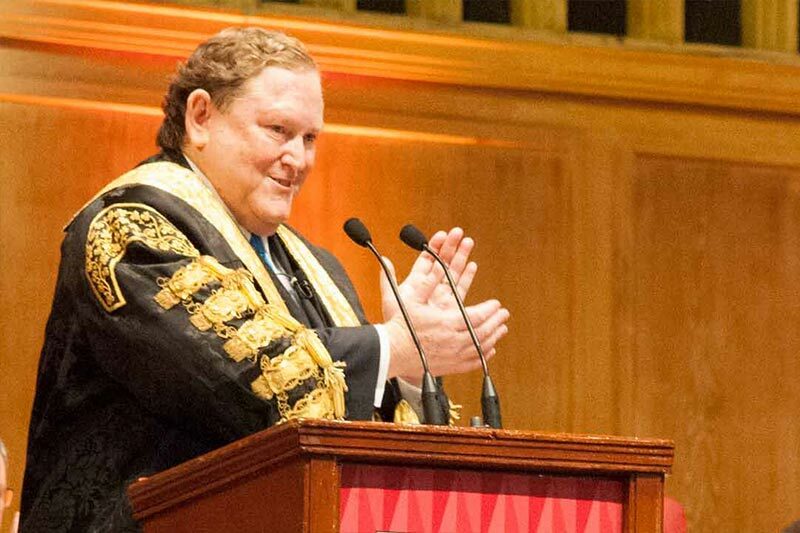 Tom Moran was installed as Chancellor of Queen’s University, Belfast in 2015. Tom was a humanitarian. If events in his life had taken a different turn here or there, Tom could have found himself as a frontline aid worker rather than a chief executive. He eagerly traveled with Concern to some of the most challenging and hard-to-reach places on earth, to witness extreme poverty firsthand, and to personally know the communities benefiting from his efforts. He traveled to Haiti, Sierra Leone, Liberia, Niger, Democratic Republic of Congo, Malawi, Mozambique, Zambia, Uganda, Rwanda, Tanzania, Kenya, Ethiopia, Somalia, Sudan, Sri Lanka, Bangladesh, and Afghanistan — most more than once. 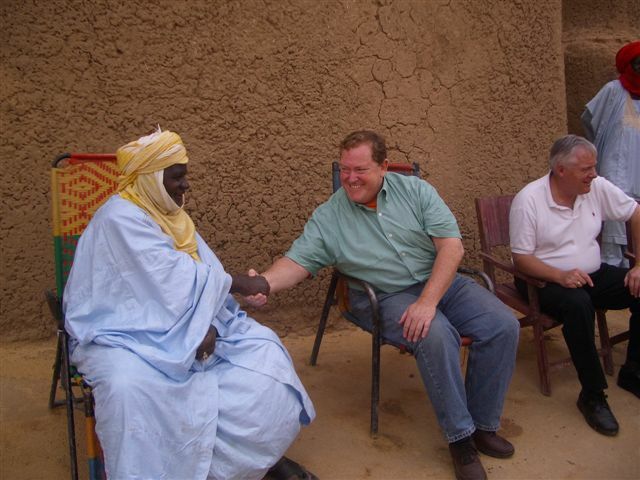 Tom Moran shakes hands in Niger in 2006. 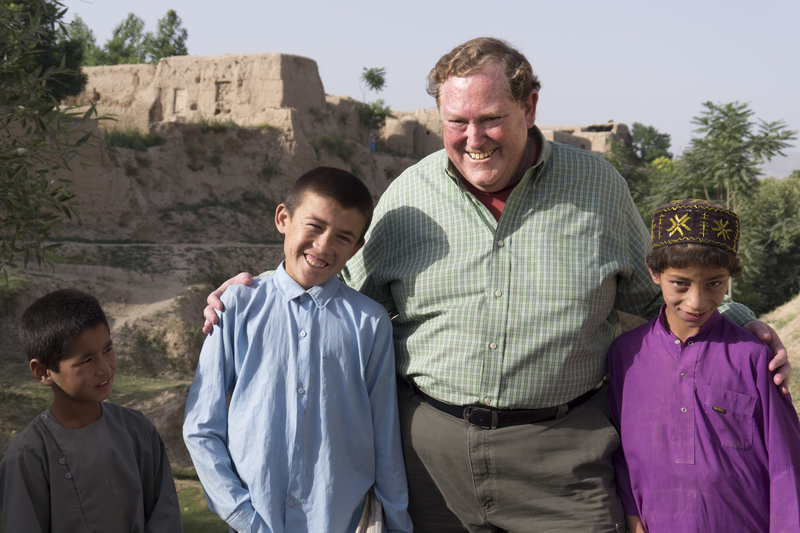 We invite you to lend your support to the ongoing work of Concern Worldwide, in memory of Tom Moran. 90 cents out of every dollar goes to our work in 25 of the world’s poorest countries.